Last week was MIPIM PropTech Summit 2017 in New York, and it was the most oversubscribed to date - proof of the industry’s increasing appreciation of technological innovation. With the London Summit kicking off today, what did we learn learn in NYC, and what should we be looking out for over here? There was only meant to be 500 of us, meandering between the stalls like a blue lagoon of business attire. 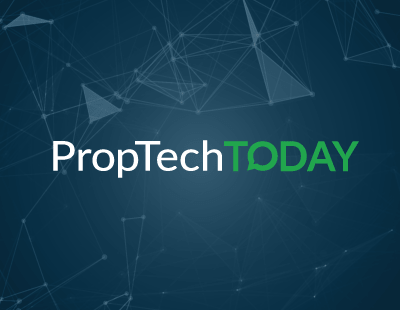 Instead, a huge surge in late entries meant that a tsunami of more than 800 people descended on New York for the flagship event of NYC Real Estate Tech Week. It got pretty cosy in there, especially when you add in the 500 firms, from 33 countries, who were exhibiting at the event. Also, I was quite surprised by the distinct lack of more relaxed attire; we were awash with formal blue suits (though not many ties, it has to be said). Because such numbers had not been anticipated, the venue simply wasn’t big enough. It’s a nice problem for MIPIM to have, though, and one which is easily addressed. I’m excited to see if we see similar numbers today and tomorrow at Olympia for MIPIM UK. Interesting also will be whether or not next year’s events make changes based on the obvious interest there now is for PropTech and the wider digital transformation; especially Cannes in March. Will we see these two areas shifted further up the importance scale? I expect so. The immediate need for industry education is now greater and more widespread than ever before. And that’s because the industry now knows that PropTech is the future. The reluctance that we have seen in the past, I’m pleased to say, has almost vanished and more people than ever are actively seeking education. 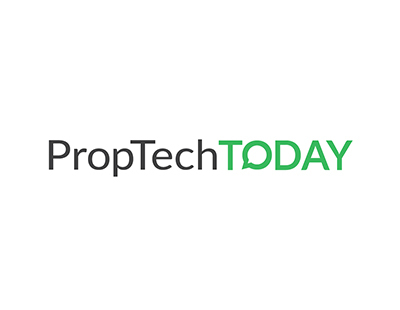 The awesome popularity of the PropTech Summit is a milestone for the property industry and a signal that spring has finally come for the relationship between tradition and tech. Expect to see the digital transformation take centre stage at these events next year. acasa helps renters manage and split their household bills. It does so automatically and effortlessly, via a smartphone app. Perhaps more interestingly, it also claims to save the average UK household £200 per year, and does so by partnering with energy companies to provide customers with the best possible rates. It’s a great example of tradition and tech collaborating to mutual benefit. RealAtom is a commercial real estate debt platform that connects borrowers with a network of lenders who want solid returns. Essentially, it’s a matchmaking service upon which lenders can increase their portfolio, and borrowers can access high-quality loans. PlanRadar works in the industry of ‘ConTech’, an increasingly pertinent ally for PropTech. It is a construction app for documentation and defect management. The core purpose is to streamline the construction process and improve best practice. The result is a saving of up to 70% on costs. Every party involved in a construction project can hook into PlanRadar, from subcontractors to owners, architects to facility managers. It hits those classic call points of efficiency, transparency, and ease. Nick is Founder of View The Space (VTS), ‘a platform that helps deliver better outcomes for people in Commercial Real Estate’. It provides leasing and asset management, market intelligence, marketing, and data analytics, all to help you drive performance and maximise returns on your property portfolio. Artificial Intelligence and deep learning take centre stage at Leverton, which has created a powerful system for managing data and documents. It calls it ‘intelligent information extraction’ and it’s as cutting edge as PropTech gets in terms of innovation. Leverton facilitates quick and data-driven decision-making by creating actionable, valuable insights out of unstructured data. If rumours are to be believed, its industry impact is going to be huge. Ragnar is Founder of velux.RE, comprehensive real estate transaction and asset management platform and one of PropTech’s premier blockchain and BitCoin companies. He is also the founder of the non-profit International Blockchain Real Estate Association. CARMERA provides real-time 3D maps and navigation-critical data for autonomous vehicles, as well as 3D scene reconstruction and site analytics for professionals in architecture, construction, real estate and other built environment segments. We all know RICS, and it’s great to see it recognised in this capacity. As a flagship organisation of the industry, it has done an admirable job of steering property through some fairly discombobulating years, and has done so in a future-looking and transparent manner. It’s no wonder that Dan Hughes, RICS’ Director of Data, is one the most respected names in the industry. Zach is a real estate developer and PropTech investor. He is Co-Founder and Partner of MetaProp NYC, as well as a Project Manager at Millennium Partners, the luxury property developers. And that’s all the winners in New York. Hopefully I’ll see a lot of you in London over the next two days, but for those of you who can’t make it, I’ll be back next week with any important updates from MIPIM UK.